It’s almost spring. Can the white bass be far behind? Every year about this time, fly fisher’s hearts beat a little faster as folks get ready for the annual white bass run. During the run, which traditionally peaks about the time the dogwoods bloom, large numbers of white bass make their way upstream from lakes into rivers and streams – and when they do, if you’re a fly fisher, you may think you’ve died and gone to heaven! Steve Hudson, our speaker this month, will bring you up to speed on white bass so you too will be ready when the fish arrive. We will look at the when, where and how of fly fishing for springtime white bass. We’ll talk about the timing of the runs, the gear and flies you’ll need (including a couple of secret fly patterns! ), on-the-water techniques, and several great places where you can try some white bass fishing on your own. This program will give you all the info and insights you need to get in on the fun and excitement. Believe it: A good day of white bass fishing can be a day that you never forget! Steve Hudson, a writer, teacher and lifelong fly fisher, says he may have the best of all possible jobs – one that lets him share the excitement of the fly fishing with others. An award-winning journalist and illustrator, he has written extensively on fly fishing, fly tying, hiking and travel. Steve is the author of more than 30 fly fishing and fly tying books, including the acclaimed “101” series of introductory fly fishing and fly tying guides. 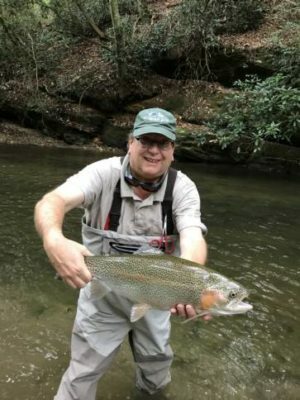 His newest book, CHATTAHOOCHEE TROUT, is a 328-page guide that’s been called “the definitive work on fishing for trout in the Chattahoochee River.” This comprehensive volume covers all of the river’s trout water – from the headwaters where the river comes out of the ground near Brasstown Bald, thorugh the upper Hooch, and every bit of the upper and lower tailwater. Scheduled for publication later this year are books on small-stream brook trout fishing in the southern Appalachians, a guide to fishing for shoal bass, and Volume II of Fly Tying Tools You Can Build. Steve is also the creator of the TIE IT & TRY IT series of fly tying kits. Each kit includes a detailed 20- to 28-page book designed to teach you how to tie each pattern, along with materials to tie of plenty of flies too. Currently in the works are several exciting additions to the TIE IT & TRY IT series, including kits focusing on the Gold Ribbed Hare’s Ear, the Tellico Nymph, the Prince Nymph, and more. In addition, a complete fly tying kit (including materials and tools) based on the book FLY TYING 101 should be out this spring. Steve is also putting the finishing touches on FLY TYING FOR KIDS, a special kit (including materials and basic tools) designed to help young people discover the fun of fly tying. 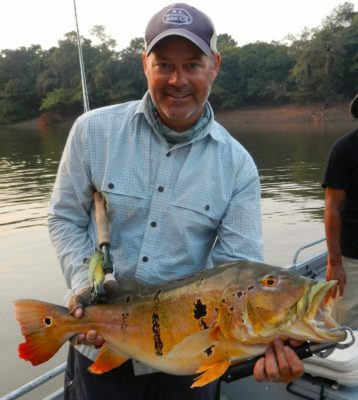 When not busy writing, Steve enjoys teaching others about flyfishing, fly tying and the out-of-doors. He is a frequent speaker and teacher on hiking, fly fishing, fly tying, and outdoor recreation, having led seminars and workshops from Alaska to Florida. He also enjoys music and does “a pretty good job” on the bass guitar. He is also director of handbell choirs at Alpharetta First United Methodist Church, where he heads up a fly fishing-based fellowship program. Steve has three grown children (and two grandkids, which he will talk about endlessly if given the slightest opportunity). He lives in Alpharetta, Ga., with his wife Ann, Zoe the cat, and Ellie the Miniature Schnauzer. Steve can be reached at (770) 329-7642 or via email at info@chattahoocheemedia.com. Justin Powell comes to the Orvis Atlanta store with over of 20 years of fly fishing experience, both fresh and salt water. Originally from Destin, Florida. Justin learned to fly fish in salt for redfish and speckled sea trout, but later found a deep passion for freshwater trout and Steelhead, and has fished in many of the countries premiere steelhead streams from the east’s beloved great lakes tributaries to the famed steelhead streams of the west. Our members will also appreciate his experience in guided kayaking. Justin prides himself on passing his love of the sport to others. Check out this video from Chris Sheridan called “Stonefly,” which traces the fly-fishing path of North Carolina angler Justin Adam Powell. 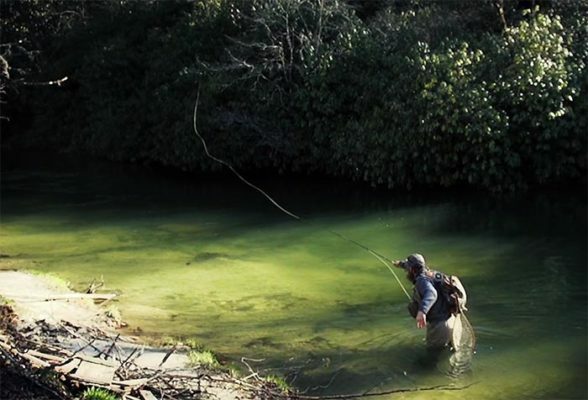 Accompanied by beautiful cinematography, Powell explains how he came to fly fishing, what the sport means to him, and how it helps him to center his life. 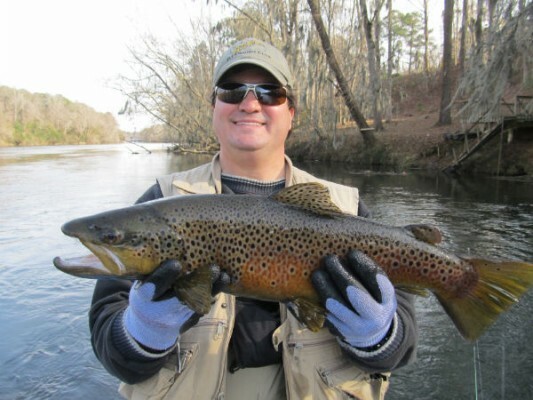 Our January 8, 2014 Atlanta Fly Fishing meeting we will feature Captain Charlie Beadon and be will be on coastal fly fishing opportunities near Hilton Head, South Carolina. Topics for the meeting include areas and species to fish, equipment and casting requirements. Captain Charlie Beadon is originally from Daytona Beach, FL but now operates as a saltwater fly fishing guide out of Hilton Head, SC and Key Largo Florida. He is a FFF fly casting instructor with a passion for sight fishing in shallow water and teaching others about fly fishing. December’s Atlanta Fly Fishing meeting features guide Ben Moore who will be speaking about fly fishing in Columbia South Carolina on Wednesday December 11, 2013 at 7 p.m. Most club members start arriving at 5:30. The December meeting is one of the best of the year as it is always a full house and has some of the best raffle prizes of the year. The Saluda River is one of those “undiscovered” gems of the south. To see why, take a look at Gregg’s fly fishing trip on the river earlier this year where he landed a 22″ brown (see post). Come out to Manuel’s and hear Ben as he shares some of his secrets for catching these trophy sized trout. November’s Atlanta Fly Fishing meeting features guide Alex Bell. November 13, 2013 at 7 p.m. 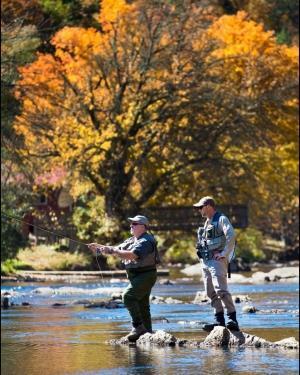 The Western North Carolina Fly Fishing Trail features some of the best trout waters in the Great Smoky Mountains. 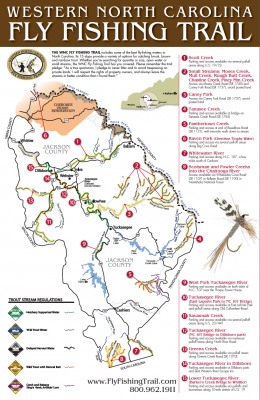 The trail covers 15 excellent spots for catching brook, brown and rainbow trout. Alex Bell is a fishing guide, educator and adaptive Fly Fishing Practitioner who helped create the concept of the trail in conjunction with the Jackson County Chamber of Commerce. Come out to Manuel’s to learn how you can take advantage of this fly fishing opportunity.